Want to spend the weekend hanging out with Stormtroopers? 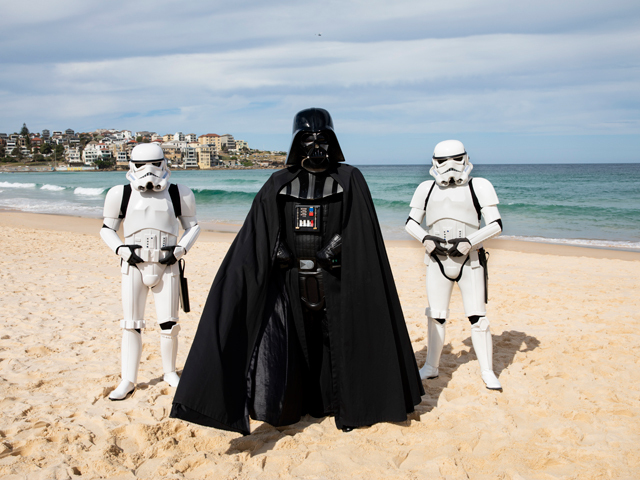 Families who book tickets to STAR WARSTM Identities: The Exhibition at the Powerhouse Museum on Stormtrooper Sunday (24 February) will get up close and personal with the Star Wars universe's most infamous characters, with official costumed Troopers greeting visitors throughout the day. Tickets for the season's remainder through to June 10 are on sale from Thursday 7 February. Designed for visitors of all ages, STAR WARS TM Identities: The Exhibition allows you to explore your own identity and learn about the forces that shape you through a series of interactive stations within the exhibition. Each answer you give will define a unique Star Wars character that you'll create and meet at the end of the exhibition. The exhibition runs until 10 June 2019.